Jared was still in college when he co-founded his first company, American Information Systems, an internet access, web hosting and application service provider. Growing up in the family’s Boulder-based greeting card and publishing business, Blue Mountain Arts, he succeeded his grandmother as sales manager in 1996. Jared caught the attention of the e-business world by co-founding BlueMountainArts.com, an online greeting card website which he sold to Excite@Home three years later. In 1998, he launched a web company to sell flowers direct from growers to consumers (ProFlowers.com) that has expanded to become Provide Commerce, Inc. (PRVD), one of the fastest-growing and most successful online start-ups. Jared was named an Ernst and Young Entrepreneur of the Year in 2000, and one of the top ten young entrepreneurs by Success Magazine. In 2001, he founded Sonora Entertainment Group, which has developed a chain of movie theaters that screen first-run Hollywood films dubbed or subtitled in Spanish. Cinema Latino is currently operating in Fort Worth and Pasadena, Texas; Phoenix, Arizona; and Aurora, CO. Civic and Philanthropic Jared won statewide election in 2000 to the Colorado Board of Education, where he has been a strong advocate for school reform and enhancing educational opportunities. He currently serves as Vice Chairman. That same year he launched his own foundation to further pursue his passion for improving and expanding access to education. Jared has founded two innovative charter schools that meet the needs of underserved students. In 2004, seeing the difficulty faced by older immigrant youth in mainstream public schools, he established the New America School to extend the benefits of English literacy and a high school liberal arts education to all students. One year later, seeing the challenges faced by teens who struggle with homelessness or unstable living conditions, he co-founded the Academy of Urban Learning which opened in the Fall of 2005. Recognizing the enormous commitment and importance of teachers, Jared created a program called “Celebrating Educators” that has awarded hundreds of teachers with micro-grants and other expressions of appreciation. In 2001, Jared launched the Community Computer Connection program which supports education through technology, attempting to bridge the digital divide by distributing 3,000 computers a year to low-income students through schools and non-profit organizations. Today, Polis’ work to improve public education and ensure that all people have the opportunity to succeed puts him in touch with a wide variety of related policy issues including the need for accessible, quality health care; sound economic policies; environmental protection; and financial security for the elderly and disabled. He played an instrumental role in the passage of Amendment 23, an amendment to the Colorado Constitution that has been responsible for preventing cutbacks in K-12 education that otherwise would have occurred over the past several years. He also helped found the Democratic Education Initiative, a statewide group developing vision and strategy for education reform. Jared is active with a broad range of charitable and other non-profit organizations. He serves on the Boards of Colorado Conservation Voters (CCV) and the Watershed School, and is Vice-Chair of the Colorado Commission for High School Improvement. He is Chairman of the Commission on the Status of Financial Education, established by the National Association of State Boards of Education. Jared is a recipient of the Martin Luther King, Jr. Colorado Humanitarian Award and was recognized as the Outstanding Young Coloradoan by the Colorado Jaycees. 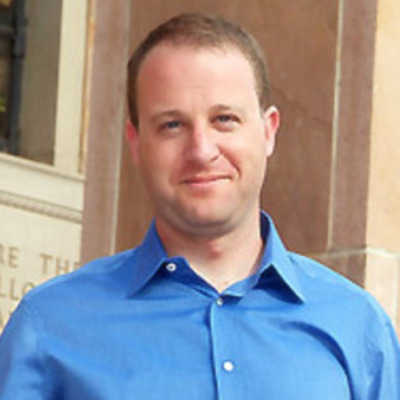 He received a Bachelor of Arts degree in political science from Princeton University and lives in Boulder.